Abbey Ale is said to be some of the best beer in the world. 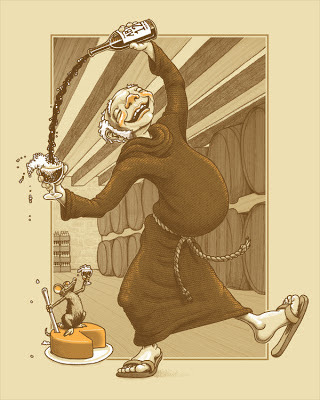 Those Monks make beer and fine cheese's to support their monasteries. One has to imagine one of them gets loose every once in a while. Great image... I like the humor.